Researchers at the University of Sussex and Swansea University have successfully applied electrical charges to manipulate liquid metal into 2D shapes such as letters and a heart. The research team says that the findings represent an “extremely promising” new class of materials that can be programmed to seamlessly change shape. This open up new possibilities in ‘soft robotics’ and shape-changing displays, the researcher say. 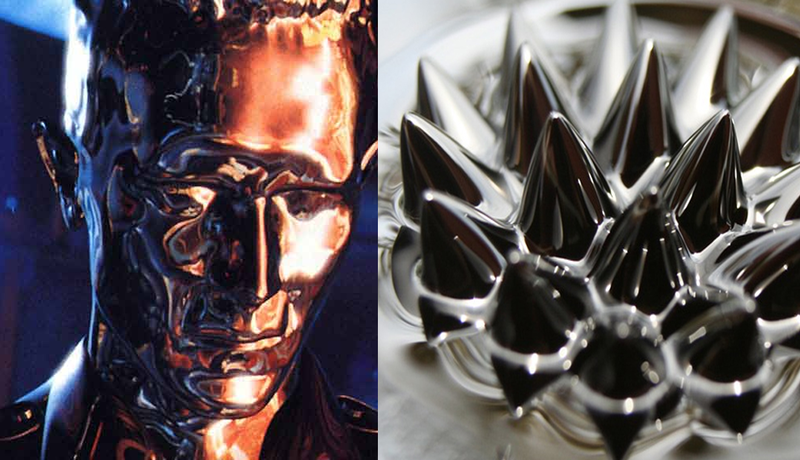 While the invention might bring to mind the film Terminator 2, in which the villain morphs out of a pool of liquid metal, the creation of 3D shapes is still some way off. More immediate applications could include reprogrammable circuit boards and conductive ink.